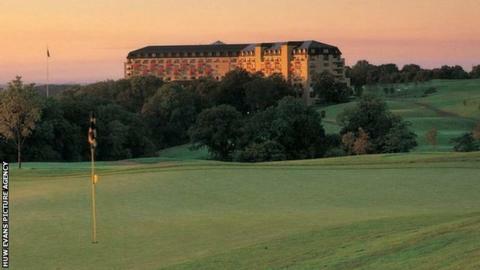 The Celtic Manor in Newport is to host the Wales Senior Open from 29-31 May, 2015. Royal Porthcawl Golf Club previously held the European Senior Tour event when it was last staged in 2013. It did not feature on the Tour last year because Porthcawl hosted the Senior Open Championship, which was won by Bernard Langer. "The return of the Wales Senior Open to our schedule is great news," said European Senior Tour managing director Andy Stubbs. "It also adds to the legacy of the 2010 Ryder Cup at the Celtic Manor Resort and we look forward to making the Wales Senior Open another successful golf tournament on Welsh soil."